ATI TTL50 DOT Certified L-shape Refueling Tank is designed to be used with a crossover style toolbox or chest box. The bottom of the L-shape fits under most standard toolboxes. ATI TTL80 DOT Certified L-Shape Refueling Tank is designed to be used with a crossover style toolbox or chest box. The bottom of the L-shape fits under most standard toolboxes. 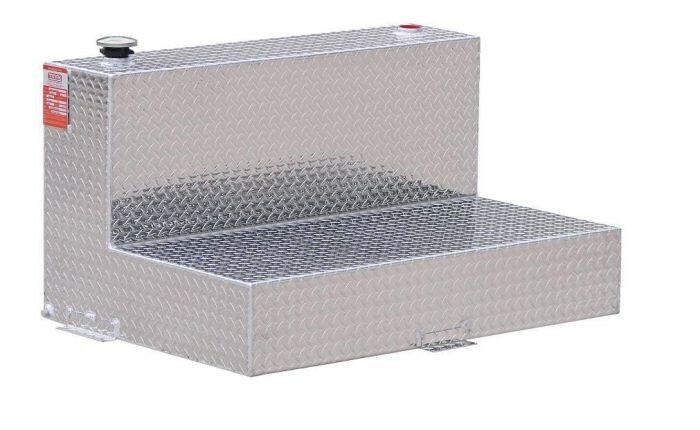 ATI TTL95 DOT Certified L-shape Refueling Tank is designed to be used with a crossover style toolbox or chest box. The bottom of the L-shape fits under most standard toolboxes. 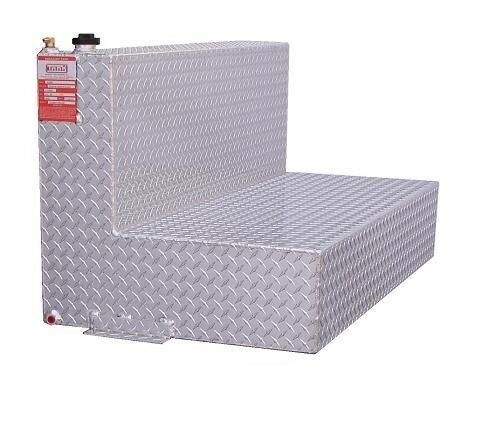 ATI TTL100 DOT Certified L-shape Refueling Tank is designed to be used with a crossover style toolbox or chest box. The bottom of the L-shape fits under most standard toolboxes. ATI AUX80 L-shape Auxiliary Tank is designed to be used with a crossover style toolbox or chest box. The bottom of the L-shape fits under most standard toolboxes. The L shape also allows for clearance in most 5th wheel applications.